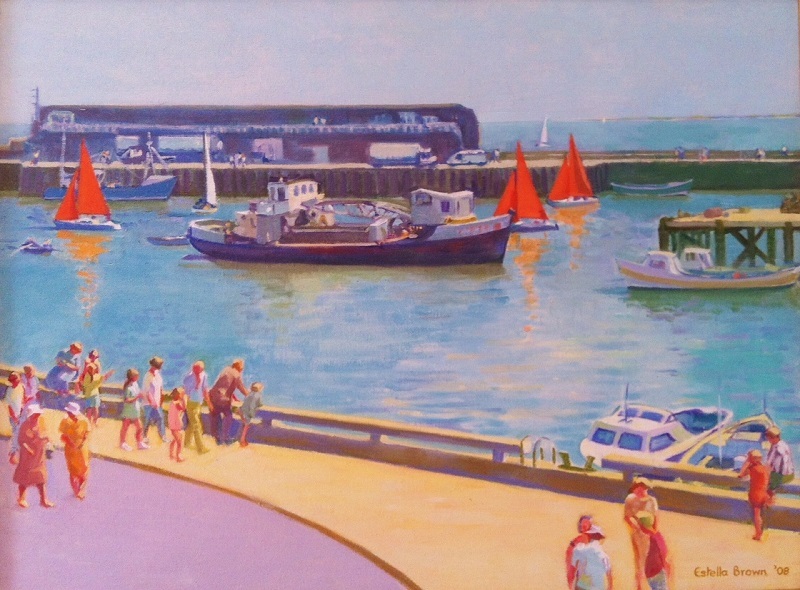 If you ever went on holiday to Bridlington as a child or perhaps grew up there, you will feel immediately at home when you see Estella Brown's paintings. There is something very evocative about the scenes she paints of families eating ice creams, paddling in the sea, sitting in deck chairs sheltered by windbreaks, and going on donkey rides on the beach. They conjure up memories of more carefree days, when Estella herself was young and Bridlington was a slightly more stylish place. "I like being cut off and quiet here in Bridlington," says Estella, who has exhibited at the Ferens Gallery in Hull, in Leeds, Cambridge and at the Royal Academy summer exhibition. She trained at Bath College of Art, where her painting tutor was the then up-and-coming artist Howard Hodgkins. Estella has been painting scenes of her home town for more than 20 years, and her work is becoming increasingly collectable.